Falling equipment and debris on roadways from unsecured loads on tractor-trailers or other heavy commercial vehicles pose a substantial hazard to motorists. Some of these vehicles are carrying tremendous loads such as other motor vehicles, farm tractors, garbage, furniture and heavy equipment. In 2010, the AAA Foundation for Traffic Safety found that there are about 25,000 traffic accidents in the US each year caused by unsecured loads from commercial vehicles, resulting in close to 100 fatalities. The NHTSA reports that there are over 50,000 accidents involving motorists running into roadway debris or into other vehicles while avoiding objects, with roughly 10,000 personal injuries resulting. Summer is an especially dangerous time for such accidents since most construction work takes place during these months and trucks carrying construction equipment to and from work sites are more likely to be on the roadways. Should you notice a truck or tractor-trailer hauling heavy equipment while driving, you might consider changing traffic lanes to avoid a possible accident from falling debris or equipment. If you or a loved one was injured from falling debris or as a result of heavy objects left in the roadway from these unsecured loads, contact Boston accident law firm Burns & Jain. Truck drivers who carry such substantial loads are commercial drivers and are subject to strict federal and state regulations regarding driving hours, training, drug testing and maintenance of their vehicles. Part of a trucker’s training is learning how to securely tie down loads and to periodically check their loads. Many truck load accidents occur because of unsafe tire treads or the material used to secure the loads is of poor quality. Driving at unsafe speeds and around curves or up and down steep hills can easily cause loads to become unattached. Commercial drivers are held to a higher standard of care because of the danger their heavy vehicles pose to ordinary passenger vehicles and pedestrians. Any deviation from their duty to exercise the care expected of a commercial driver exposes them to civil liability. Also, the companies that employ them have an equal responsibility to ensure that these drivers are adequately trained, are operating their vehicles safely and are drug free. If a truck is owned by the city or state, there are specific rules for bringing a claim against them under the Massachusetts Tort Claims Act. 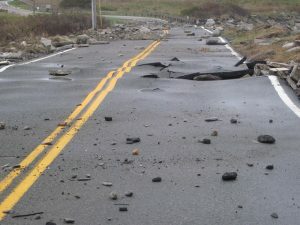 There are caps or limits on the amount of damages you can recover against Massachusetts, its cities and towns. There are no statutory limits if your injury claim is against a private commercial carrier. A truck accident lawyer can properly advise you on which parties may be responsible for your injuries and can bring your claim against the appropriate parties within the time set by law. Truck accidents require special care, knowledge and attention to the vast array of regulations and claim procedures as well as intransigent insurance companies that can overwhelm and frustrate anyone. Contact Burns & Jain today for a free initial consultation regarding your accident injury claim.